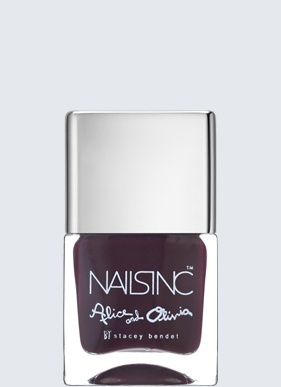 The Alice and Olivia collaboration with Nails inc. is now available to shop. The collection consists of four nail varnish shades which are ideal for the autumn/winter season and being the nail varnish addict that I am I feel the need to add them all to my nail varnish collection. 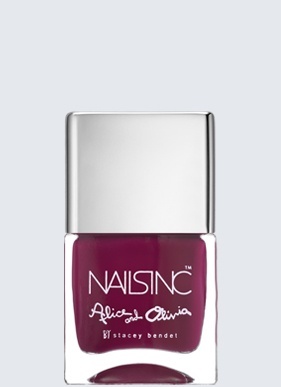 I am currently lusting over Rose & Poetry and Midnight Merlot in particular from the Alice and Olivia collection.which is described as a rich aubergine shade. I find Midnight Merlot to be very reminiscent of the Kensington high street shade gel effect polish shade which I happen to already have in my collection. I may have to compare the two when I finally get my hands on Midnight Merlot! What are your thoughts on the collection?